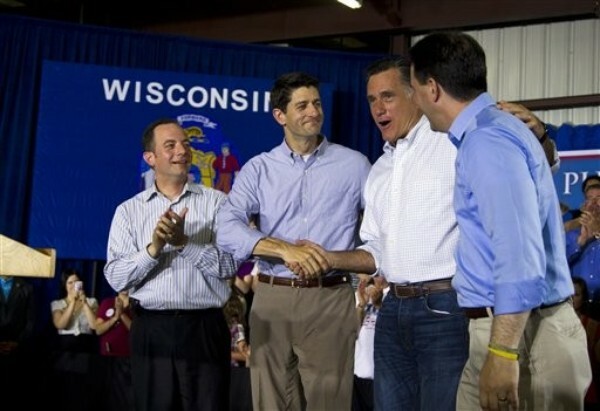 With Ryan, Walker, Ron Johnson and Reince Priebus. Forward!!! :) The Wisconsin state motto. Eat your heart out, Barack. You come from Illinois, and your policies just make things worse, even for the poor just trying to make a better living and follow their dream. As for Me-chelle, the class warfare queen, living it up on our dime, where will she go for her next luxe vacay. You wanna camp out at the Wisconsin state capital to commemorate the historic defeat of the phony populist public union elites, be my guest.